"If it ain't fun, it ain't worth doing." It's a virtue Christian Lane has practiced throughout his 14 years of consulting experience. In 2006, he took steps toward building his own business where people look forward to going to work and solving problems. Austin's Praecipio Consulting was born, where Lane still serves as CEO, overseeing a team that delivers IT and consulting solutions for the Atlassian product suite. We caught up with Lane to learn more about the work he's doing and how he leads the team. What's your morning routine when you get in the office? It depends, but I typically show up around the office between 7 and 7:30. I'll head to the kitchen, have some juice, water up and look over my morning reviews. If I have early meetings, I'll prepare for them, or go through e-mails and tasks. The morning is my top planning time since I'm usually in meetings all day. I'm doing what I love to do. I once had a boss who was adamant about doing what you love, and I've worked hard to build a place that you want to go to work at. If I don't want to be there, then that's a problem. We get to help companies from 50 people to global Fortune 1000 companies establish better business patterns, build better software, implement and improve their processes, increase value, lower costs and help them be more profitable. It excites me and keeps me motivated. If it ain't fun, it ain't worth doing. What would you identify as some of the biggest challenges that you've faced in your career? The continual learning curve. When you get into the real world, you have to learn how organizations work and depending on the company you work for, you have to learn how it operates. The most fun challenge is learning what we do day in and day out as we grow our business. It's really about learning fast enough to stay ahead of the curve and to do the planning to engineer what we need six months from now to help us get to the next level. I like and love these challenges. The more challenging aspects of a career when you get to a point that we are at is making the decisions to hire and the decisions to let go. Hiring the right people is a lesson you learn over and over again. What are some of your key focuses moving into the next year? The key focuses this year have been very sales and marketing driven. Over the past 10 years, we've defined and built great models for implementing technology and the processes to prove it. For service businesses, scaling is hard and tough. We knock things out of the park since we have such a robust delivery model, and now it's about time to grow and scale focusing into next year. We're ramping up the software development team to build and bring software services to our clients. It opens a lot of doors and helps us start driving more revenue from software sales. What are lessons you’ve learned about working in Austin that other local entrepreneurs can learn from? What's worked for us is making sure we're plugged into the Austin community. 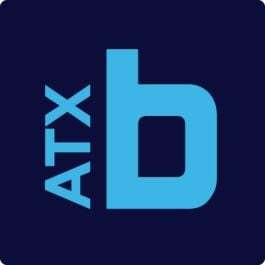 We host and sponsor the Austin Atlassian User Group and focus on networking. We love Austin; it's a great destination, so we can easily get clients to come visit us in town and build business development, and there is a great talent for hiring. When it comes to how we carry around at the office, it's very different from other consulting companies. For me, we're really laid back and pretty chill; we're definitely a different kind of consulting company. How we approach things is different, and we're very careful not to be wasteful. But when it comes to execution mode, I can be pretty intense. My grandfather. As a kid, we used to spend our summers in Mexico with our grandparents. He's a great businessman, and I got to learn a lot from him and shadow him and my uncles. I learned a lot about the personal side of business. There's a more paternal feel in Mexico when it comes to business relationships. We'd have coffee with his business associates and his colleagues. It always seemed like a good friendship. I still think about "what would my grandfather do?" when evaluating certain aspects of my business. Image provided by Praecipio Consulting. Some answers have been edited for clarity and length. Want to nominate a CEO for this series? Tell us or tweet @BuiltInAustin.